We at HomeCare Technologies will do our best to provide you with products that will help create a better and safer environment for you and or your loved ones. The vast majority of products on HomeCare Technologies are simple to use and require little or no setting up. If you need help just give us a call and we will help get you started. For equipment that is subject to sensitivity adjustment and wear and tear it is the responsibility of the person setting up and monitoring the system to ensure everything is working correctly. Please make sure you fully understand how to use and adjust the sensitivity of products before you use them. This is especially important for breathing monitors etc. We recommend testing equipment on a regular basis and following manufacturers guidelines. HomeCare Technologies are not responsible for false alarms or Alarm failures. The products on this website are not intended to replace medical or career supervision but to assist it. If you would like any advice or help with a product you have purchased or would like to purchase please contact us. All equipment is covered with a 12 month warranty except consumables such as bed mats etc. Consumable Items are subject to manufacturer warranty. If you are unsure of a products warranty please contact us. All products returned for refund must be returned within 28 days, in original packaging, unused and undamaged. Postage cost to return the product can not be refunded. Any faulty items will be replaced or refunded once item is returned and fault is established and is covered by manufacturers warranty. Damaged items are not subject to refund or replacement unless they where received in this condition from the Courier. If so this should be reported to us as soon as goods are received. 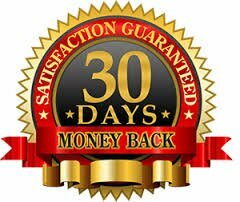 Products returned in original packaging and undamaged can be returned within 30 days. Full cost of the product will be returned if we receive the product in this condition. A 20% handling charge will be applied to any goods returned within 30 if packaging is missing or damaged. Your order can be cancelled at any time. If product has been shipped before cancellation is made the cost to return product will not be refunded. Refund will be issued once the product has been returned un-opened and is not damaged. All stock items are shipped the same or next working day. All products are sent by courier it is important to give a contact telephone number when ordering so the courier can make contact if no-one is at the address at time of delivery. Tracking numbers are available upon request. Most items once they are shipped within Ireland arrive the following day. We use a courier that will contact you prior to delivery to ensure that you are there at the agreed time, the Parcels can also be tracked. Most items will have a 8.00 euro shipping charge within Ireland. Larger or Heavier items are 15 euro within Ireland. Shipping rates will be shown after you have selected a product and given your delivery address online prior to payment being made or call us on 1890 344 344. If you are not sure of shipping charges please contact us with product details and shipping address. For urgent cases express shipping can be arranged please contact us and we will do our best to help. Please note express shipping is subject to charges of Courier and location. We ship worldwide charges vary depending on destination and product size. If you wish to have a product collected by a preferred Currier no problem we will have the product packed and labelled ready for collection. Please contact us for costs or to arrange a collection. If a product becomes no longer available before we have been informed by the manufacturer we will contact you if you have ordered the product and offer a full refund and or suggest an alternative product. If the manufacturers prices have changed or a mistake has been made and we have not been able to change the price before a product is ordered we may need to inform the customer that the product is no longer available at the price shown on the website. We will do our best to accommodate the customer but a full refund will be issued if the matter can not be resolved.